Feeling like a princess in a 5-star hotel in Monaco! In my previous post, I wrote about the HOTEL METROPOLE Monte-Carlo, and now I would like to show you the rooms! For a change, I played the role of a model, and I would like to share with you the special shoot that we did. It was almost like a movie scene, so please enjoy my complete transformation, LOL. I stayed at a “Superior Junior Suite,” their standard junior suite. It’s a very elegant suite exuding a delicate Oriental mood. Exciting features include a king-sized bed and Hermes amenities! The Hotel Metropole Monte-Carlo has 141 guest rooms, 64 of which are suites. The luxury of having about half of the rooms as suites is indeed appealing. Of these, I was given a special tour of the Carre D’Or Suite, the hotel’s pride and most luxurious suite located at the very top floor. Exuding prestige, this stately suite with a sense of history also has a luscious feel, a suite that is a perfect match for a princess. At 150 square meters it is exceptionally large, and being on the top floor, the special perk of a 110 square meter terrace is just spectacular! Offering a panoramic view of Monte Carlo, I can almost hear a camera clicking, capturing a shot of a woman in this perfect setting. 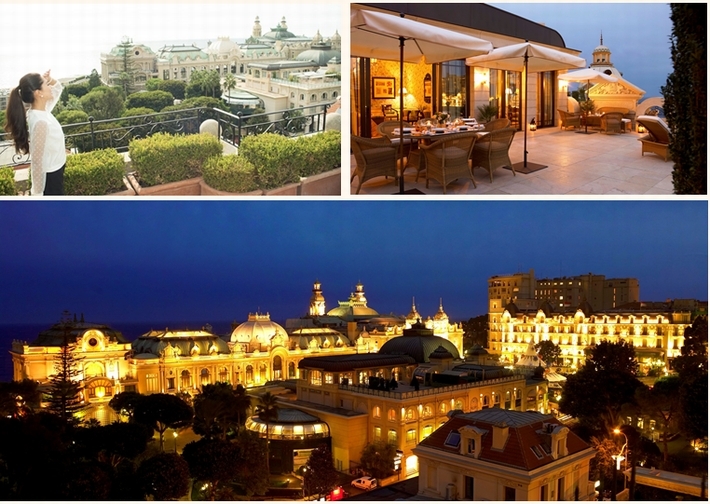 How about staying in such a romantic hotel when you visit Monaco? Nstyle is now offering a very special plan so don’t miss this unique opportunity! Please mention “Nstyle’s Celebration Plan” when you make reservations over the phone.